← I Think We Have a Winner! 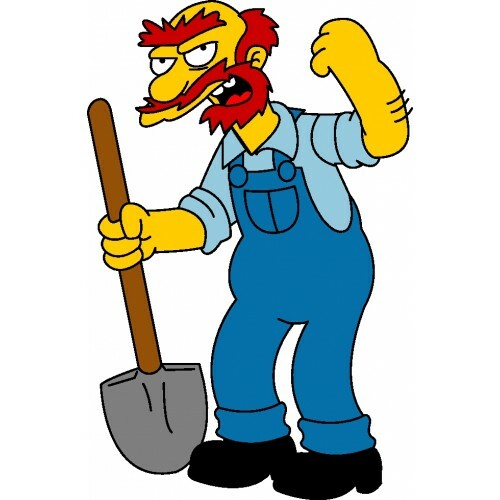 Willie: I’m from Scotland too! Where do ya hail from? Our original dining room furniture was a work table and a few folding chairs. 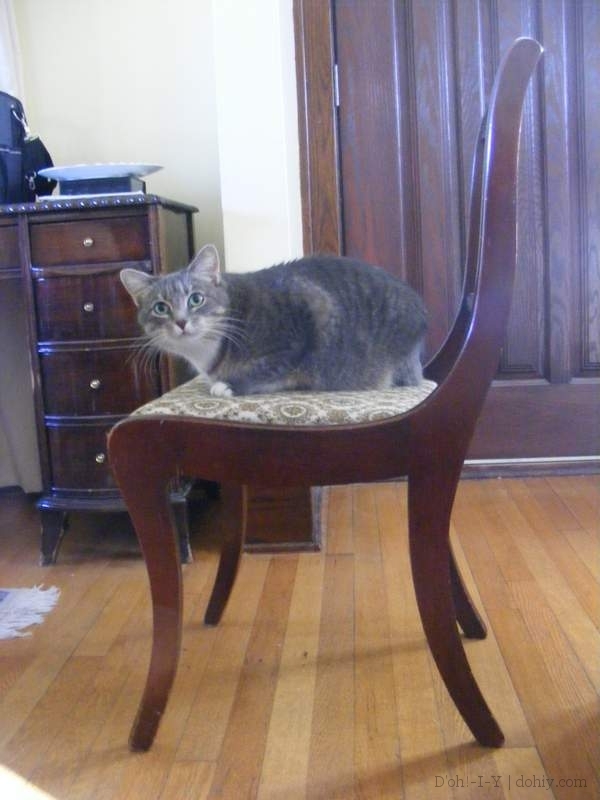 My folks gave us some money for real dining furniture, and we started perusing the want ads (this being in the long-long-ago before Craigslist). We found an antique mahogany table and sideboard with six chairs. “It’s too grandma-y,” I grumpily opined. But the Kev said that it was high-quality furniture at an excellent price. And that he liked it. 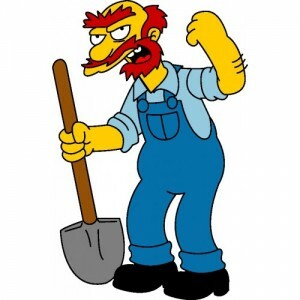 Since most of the house decisions to that point had gone my way, I yielded. Duncan Phyfe: Better-looking, more successful, but also a Scot. Phyfe’s work employed neoclassical themes, and original pieces command huge prices. They are even exhibited in major museums (this poster is from the Met). 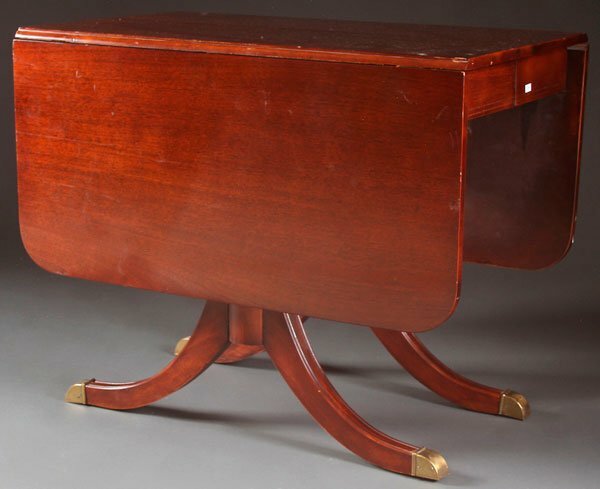 Many US furniture companies produced work in the style (and many still do). One of the seats (heh) of the American furniture industry, Thomasville, North Carolina, built an enormous chair to commemorate local furniture-makers. They built it from concrete and steel and chose a style they thought would also stand the test of time — Duncan Phyfe. 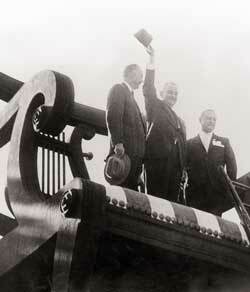 LBJ standing in the “Big Chair” in Thomasville, 1960 (via). I grew to love our phurniture. The finish has a great patina, and it’s very well-made. I really like the line of the legs, which is simple but elegant. Oh, you have the camera out? That must be to do with moi. 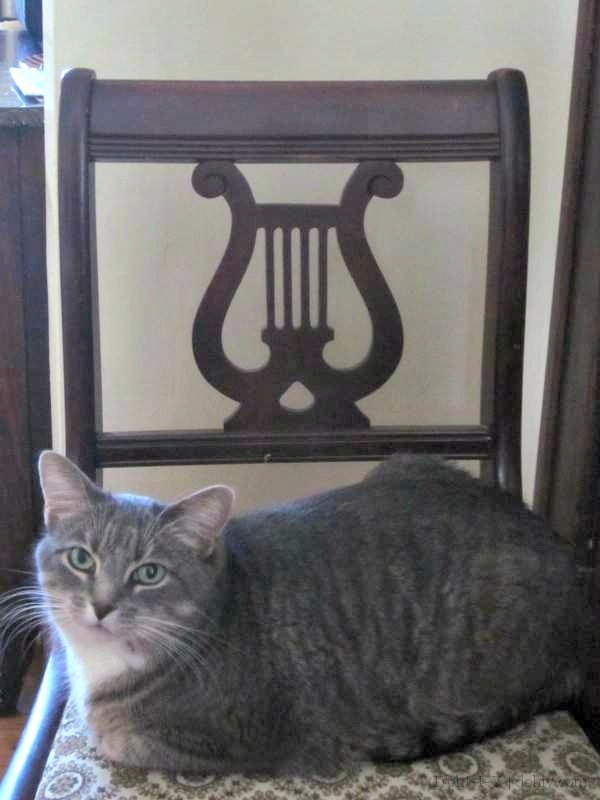 Our chairs have the iconic lyre back seen in the Thomasville memorial (which is still standing, in case you are looking for road trip landmarks). The backs are the only overt ornamentation, and they are surprisingly comfortable. Other back styles include carved roses and scrolls or fretwork. Also look for subtle details like fluting and brass claw feet, especially on the classic drop-leaf table. Duncan Phyfe-style dining furniture is readily available on the second-hand market. Occasional tables and upholstered pieces are trickier, but do crop up. On ebay and other national sites, sellers generally identify the style with the correct spelling, but on Craigslist, it’s more hit or miss. Try looking for “Fife” or just “mahogany” furniture. 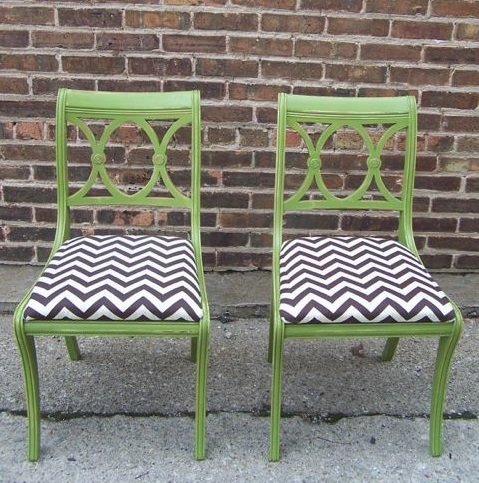 For the distinctive dining chairs, search for “lyre” or “harp” backs (I found similar chairs for use at larger parties by searching for “harp” chairs — $10 each!). 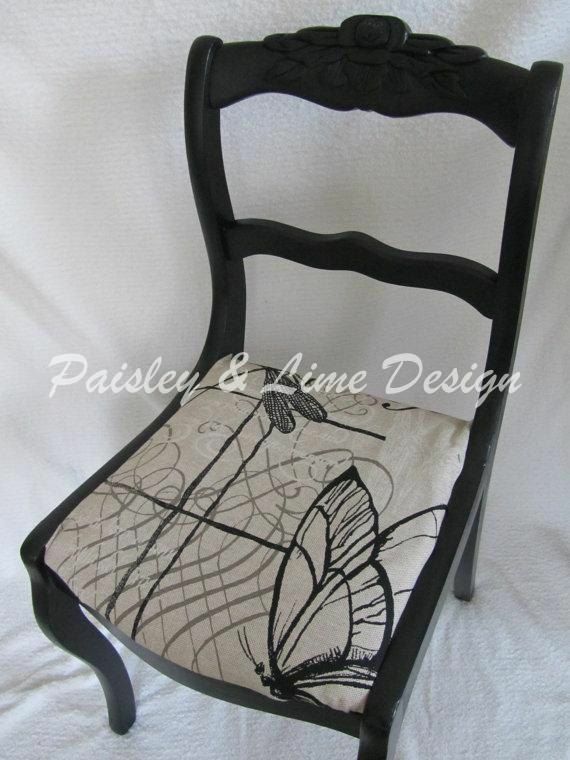 I often see “rose” dining chairs as well, so descriptive searches are worth trying. I still think it’s pretty grandma-y, but in a good way. This entry was posted in Decor, Furniture, Romance and tagged duncan fife furniture, duncan phyfe furniture, harp chairs, lyre back chairs, mahogany furniture. Bookmark the permalink. Great article! 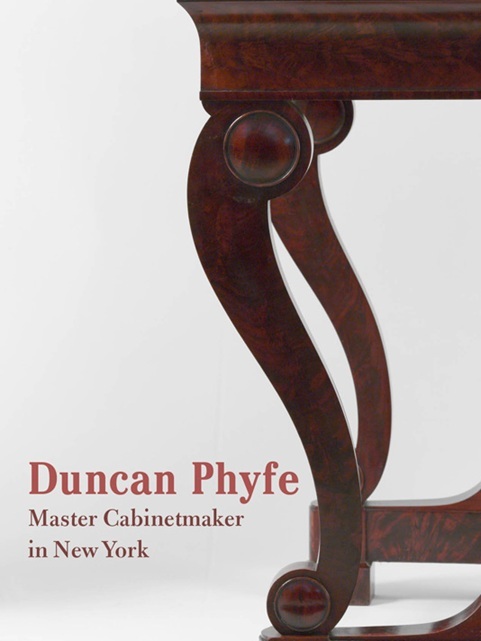 I grew up with a Duncan Phyfe style dining set, along with many other pieces. My paternal grandfather was a upholstered and ‘made’ a sofa for my parents as a wedding gift. In my mind, it has always spoke timeless style. Now, I’m playing with refinishing furniture and mostly find Duncan Phyfe style at the best prices because there is so much of it available. Because of the supply, it makes playing with color and finish endless and more appealing to the younger audiences. Thanks so much for the educational post. Jan, thank you very much for the nice compliment! You are right, there is a ton of it available, especially on Craigslist. It seems like older antique furniture (pre-MCM, I mean) is out of favor right now. That’s ok with me! I would love to see some of your refinished pieces — stop back and share! Most people don’t have the ability to see beyond the immediate (usually dull and dowdy finish and textiles). I love to retain beautiful wood grain when I can but it’s not always possible due to neglect or poor treatment of previous owners. If you take a look at my facebook page, you can see my current projects. 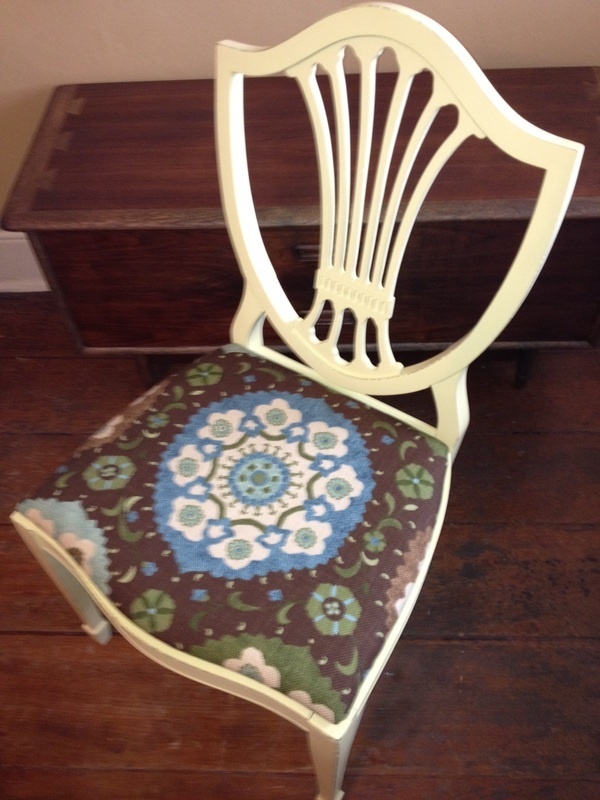 I need to finish up on the Bergere chairs, as they are going to their new home in mid-July. I’m not typically a blue person but it seems lately that everything I’ve done is some shade of blue! I need to branch out and try a few other colors. Keep up with the great work you’re doing and thanks again for posting this informative article. Your work is gorgeous, Jan! I wish you were in our area — I really need some serious help with a rocking chair and an art deco vanity. Oh, well, they will be good winter projects! Send me pics of your projects and I’ll shoot back som ideas and articles. I am finishing up the Bergere chairs this week so please watch for updates.